From the West Texas desert and the Llano Estacado, across the prairies and throughout the Piney Woods, Texas is dotted with cemeteries. Some are relatively new, while some bear witness to the pioneers who tamed the wild Texas frontier. Some are in good order, frequently visited, and neatly kept. The living visit to honor the memories of their loved ones and of forebears known only through family stories. They contemplate what their lives must have been like and what life is about. Others, the mourners having become occupied with the business of life, or having long ago joined the mourned under the sod, lie in disrepair or vandalized, with markers and stones knocked over, rotting, broken, or illegible. Each stone tells a story. These burial grounds are important to the families of the deceased and are significant historical resources. But they also may become obstacles to a landowner who wants to use or develop land with a cemetery on it. 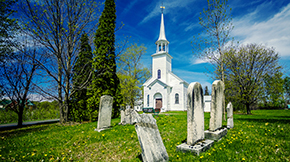 Cemeteries can be public or private and can be established by a city, county, corporation, perpetual-care cemetery corporation, community, neighborhood, church, other organization, or no organization at all. The larger, more well organized cemeteries have little effect on most real property owners. Therefore, this discussion primarily concerns small, rural cemeteries for which there is no functioning cemetery organization. Both Benjamin Franklin and William Gladstone stated, to paraphrase, that how a society cares for its cemeteries says a lot about the quality of its people. Likewise, Texas courts have pronounced a strong public policy in favor of preserving cemeteries out of respect for the dead. Because of this, land used for cemetery purposes enjoys a somewhat special status in Texas. Once land is dedicated as a cemetery, the property is taken “from the realm of commerce" and “it is no longer a subject-matter of conveyance or inheritance so as to interfere with the use and possession to which it has been devoted" (Smallwood v. Midfield Oil Co., 89 S.W.2d 1086). In other words, even someone who owns a cemetery is limited in its use. It is always subject to its dedication, unless that dedication is removed. It is exempt from taxation and condemnation by eminent domain. Liens do not attach to it, and it is exempt from the claims of creditors. It may not be sold on execution or applied in payment of debts due from individual owners and plots. It is subject to certain rights of visitation, and may not be removed at the whim of the owner. It has been held that the owner “holds the title to some extent in trust for the benefit of those entitled to burial in it" (Houston Oil Company of Texas v. Williams, 57 S.W.2d 380). All of these statements are true even if the cemetery is not reserved in the deed or chain of title. The simple presence of grave markers may be notice to an owner that a tract is a cemetery. Although laws exist regarding the establishment and operation of cemeteries and cemetery organizations, the only thing required to dedicate land as a cemetery is actual use for burial. 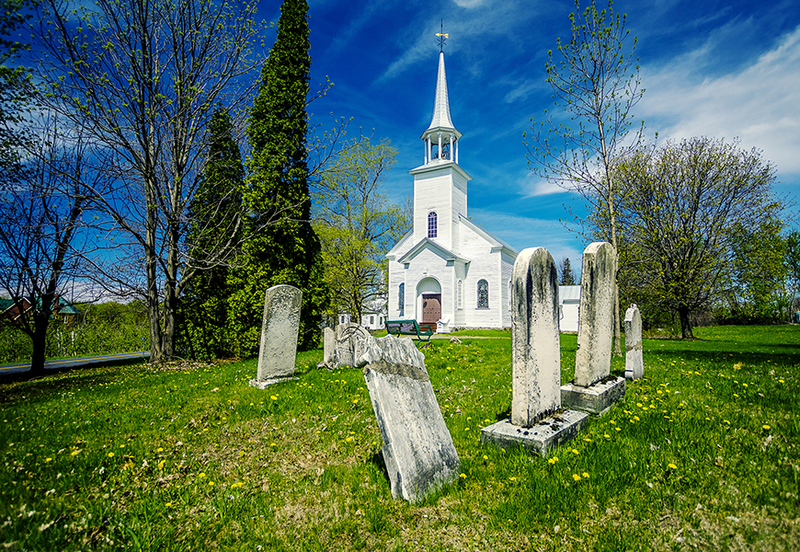 Once dedicated, the property must be used exclusively for cemetery purposes until the dedication is removed by court order or until the cemetery is enjoined or abated as a nuisance. The 85th Texas Legislature has added or changed definitions of some important terms that heretofore were provided by rule or by case law. An “abandoned cemetery" is a cemetery, regardless of whether it appears on a map or in deed records, that is not owned or operated by a cemetery organization, does not have another person legally responsible for its care, and is not maintained by any person. If an abandoned cemetery does not appear on a map or deed records, but is evidenced by the presence of marked or unmarked graves, it is an “unknown cemetery." An “unverified cemetery" is a location having some evidence of interment but in which the presence of one or more unmarked graves has not been verified. This verification must be made by a cemetery keeper, licensed funeral director, medical examiner, coroner, professional archeologist, or the Texas Historical Commission. The 85th Legislature also made some changes to other statutory provisions. The changes are reflected in this article, and are effective September 1, 2017. Persons who own land with a cemetery on it, or discover an abandoned, unknown or unverified cemetery on it, have certain responsibilities under the law. First, the landowner may not simply destroy it. Destroying or defacing graves, their markers, or other cemetery elements could result in civil and criminal penalties. Second, the landowner must allow reasonable access to any person who wishes to visit a cemetery or private burial grounds for which no public ingress or egress is available. The rules governing access are set forth in Section 711.041 of the Texas Health & Safety Code, as well as administrative rules made by the Texas Funeral Service Commission. The commission may enforce the rules regarding access by an administrative order, but written agreements are encouraged. Such written agreements may be reached by informal negotiations or by mediation. Reasonable access means reasonable ingress and egress for the purpose of visiting the grounds. The landowner may designate the routes of reasonable ingress and egress and reasonable hours of availability. Between 8 a.m. and 5 p.m. on any day of the week, or hours set by written agreement, are generally considered reasonable. If visitors want to visit at any other time (which also must be reasonable), they may do so by providing written notice to the landowner at least 14 days ahead of time. Visitors may visit only for purposes usually associated with cemetery visits, which include visitation, ornamentation, and protection of graves from desecration. Whether the landowner must permit any new burials to be made appears to depend on the original dedication terms and existing plot conveyances, if any. Under the new statutes, a landowner is not required to allow access to an unverified cemetery. It appears that the Legislature intended to except only those cemeteries whose existence could not be confirmed, rather than cemeteries which might contain both marked and unmarked (but unverified) graves. That's not what the new statute says, though. Under the definitions, such a cemetery might still meet the definition of an unverified cemetery. Third, any person, including a landowner, who finds an unknown or abandoned cemetery must file notice with the county clerk as provided by the Texas Health & Safety Code (Section 711.011). The notice must also be mailed to the landowner on record with the county appraisal district. These notices must be filed within ten days of the discovery. A person who discovers an unverified cemetery must file notice with the Texas Historical Commission on a form provided by the commission, with similar notice to the landowner on record with the appraisal district. The landowner is given thirty days for response or comment. The Texas Historical Commission must determine whether the cemetery exists or not, and make the appropriate filing (Section 711.0111). In counties with a population greater than 525,000, a landowner may not maintain or locate a feed pen for hogs, cattle, or horses, a slaughter pen, or a slaughterhouse within 500 feet of a cemetery. Improvements may not be constructed in a manner that would disturb the cemetery until the human remains are removed under the appropriate orders. Obtaining those orders can be difficult, so some landowners choose to develop around it or pursue other creative alternatives. The Ayres Cemetery in Fort Worth is in the middle of a motel parking lot, while the Thompson Cemetery sits near the tenth tee at Hawks Creek Golf Club in Westworth Village. Although the town of Boonville no longer exists, its cemetery has been transformed into a historical park in Bryan. The neighborhood where I grew up contains a small lot used as a baseball park. We lost many a ball to the South Family Cemetery, which sits in center field. Some landowners may wish to seek designation of the plot as a Texas Historic Cemetery through the Texas Historical Commission. Landowners who believe the cemetery simply must go may petition the district court to remove the dedication under Health and Safety Code Section 711.010, which applies specifically to owners of property containing abandoned, unknown or unverified cemeteries. Notice must be given as set forth in Section 711.004. In addition, notice must be given to the Texas Historical Commission and the county historical commission. The historical commissions may intervene if they deem it necessary to protect the cemetery as a historical resource. If the court finds it in the public interest, it will remove the dedication and order removal of the remains to a perpetual-care cemetery or a municipal or county cemetery. If consent cannot be obtained from plot owners and certain relatives of the decedents to remove remains, the landowner may seek permission from the district court to provide for the removal (Section 711.004). Notices must be given to plot owners, certain relatives of the decedents, the cemetery organization, or if there is none, the Texas Historical Commission. A disinterment permit must also be obtained from the state registrar of vital statistics. Compliance regarding the removal of remains is required (Section 711.004). The courts have provided little guidance as to what “in the public interest" means. The only court opinion dealing with the statute did not reach the question because it held that the cemetery in question was neither unknown nor abandoned. As another alternative for the landowner, Section 711.007 allows a district court to abate the cemetery as a nuisance and enjoin its continuance if it is maintained, located, or used in violation of the general provisions relating to cemeteries in Chapters 711 or 712, Health and Safety Code, or if it is neglected so that it is offensive to the inhabitants of the surrounding section. If the district court does so, it will determine whether the nuisance must be abated by repair and restoration or by removal of the cemetery. The court will decide the party or parties liable for the costs associated with the abatement. The statute authorizes certain people to bring such an action, including certain officials and the owner of a residence located in or near the municipality in which the cemetery is located or in the area proscribed for the location of a cemetery by Section 711.008. That section prohibits new cemeteries from being established or operated in or within a certain distance of the boundaries of municipalities. Notice must be given to the state and county historical commission in this type of action. What's considered a nuisance? We don't know for sure, but we know what it is not. A cemetery is not a nuisance per se, but it may become a nuisance from its location or manner of use. Mere proximity is not enough. Unpleasant feelings about cemeteries, funerals, or death are not enough. Reduced property value is not enough. Note that the statute says owner of a residence. This might mean that an owner of land—but not a residence—may not bring an abatement proceeding. However, such an owner may be able to petition for removal of the dedication as an adjacent landowner under Section 711.036. That section provides a way for the owner of land adjacent to a cemetery for which there is no cemetery organization or governing body to petition for removal. This section somewhat mirrors Section 711.010 in that the court will order removal upon a finding that it is in the public interest. Similar notices are also required.